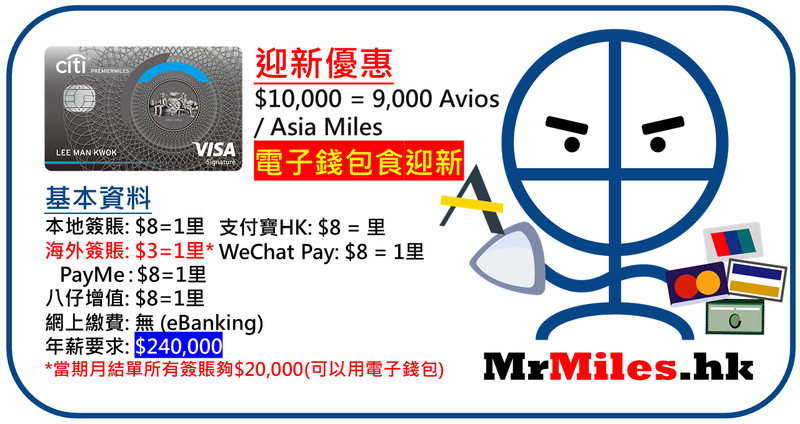 入過online application 但decline 左, 唔知街站會唔會寬鬆處理?. 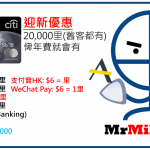 Citi PM card 有冇限幾多個月簽滿$10,000才可以換台灣機票? 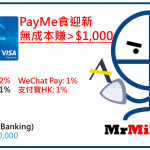 如果我用PAYME CHOK 2個月係咪可以換到? if PayPal use HK code (but bill in USD or EUR), still have overseas 3/per mile if i have 20000 a month? 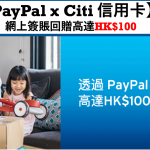 入完lounge, 除左payme外, 可以用支付寶或wechat pay 過數當簽五千嗎? For every local spending $1 = 1.5 points, Can I use the point to redeem cash reward? Now, they can use 10,000 point to redeem $50 cash reward. So the ratio is 1.5 / 200 is 0.75%? 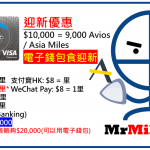 Wonder if using Premier Miles to pay expedia.com.hk/hotels.com.hk using HKD, can I accumulate TYR? Is that true that if opt for agoda which based in GB, i need to change to foregin currency in order to save TYR? Thanks for your reply. I found great help on your websites. 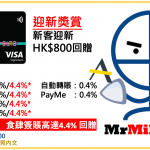 Yes you could accumulate TYR by paying HKD. 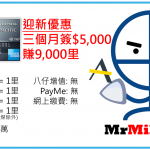 HI, 請問發卡後首月chok支付寶5000，payme chok 5000,wechat chok 10000,是否就有國泰來回台北機票送?